Fireflies is the middle piece in the Love* Plays trilogy, a trio of thematically connected pieces that explore Queer Love* at pivotal moments in Black history: the era of slavery (Sugar in Our Wounds, seen at Manhattan Theater Club earlier this year, also directed by Saheem Ali), the civil rights movement (Fireflies), and Black Lives Matter (In the Middle, not yet produced). As a nuanced portrait of a combusting marriage—where the husband wears a prominent public face but finds safety in the arms of the wife he’s loved since childhood, while the wife is asked time and again to suppress her voice, her ambitions, her body (bearing a child she’s never wanted), even her own sexual identity to the needs of not just her husband but the political movement of which her husband is the face, until these constant acts of erasure threaten to destroy her—Fireflies is passionate and poignant. Davis and Wise burn brightly, matching well in their depictions of two vibrant, intensely physical people who do feel genuinely for each other but are also unable to be fully honest, gradually stripping away layer after layer of emotion to get to quiet, heartfelt truths. And Love and director Saheem Ali bring a wistful, feather-light touch to their exploration of Olivia’s barely conscious queer desire. The letters to God feel especially frustrating because they blunt the impact of another set of letters that stand at the play’s emotional core: letters Liv has been writing covertly throughout her marriage to Ruby, a New York activist whom Liv met when she came to hear Charles preach. Ruby is Liv’s cherished confidante and deepest secret all at once: a thread connecting her to an alternate life she never had the opportunity to fully explore; a source of a physical desire whose optimism juxtaposes poignantly against the way she feels trapped in her body by her pregnancy. When Liv is sent evidence of Charles’s infidelity, Charles throws back in her face the knowledge of her hidden letters. Both his betrayals and the ugly contempt with which he talks of Ruby and her “sickness” cut Liv to the core, and all the secrets that have been mushrooming under the joyous surface of their marriage start to bubble out. The piece fittingly ends, as it begins, with Liv alone, grappling with both her need for hope and her resignation to loss. 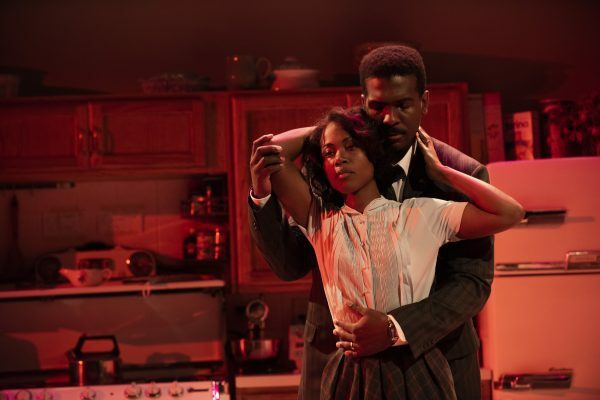 For while Charles may be the face of the civil rights movement, Liv is the heart of the play. Charles is charismatic, charming, a natural leader, all of which he takes into battle against a world that will bomb a church and kill four little girls. But Liv has to fight another battle on top of that one: a battle in her own home and her own mind, for every scrap of her selfhood and her voice. It’s a credit to Love, Ali, and Wise’s rich performance that Fireflies never loses sight of her journey and her struggle.